Come feel the noise at the Carole Nash MCN Festival of Motorcycling! But ignore those wags, the TDM900 is a great commuter or city hack that is also a pretty fine sports tourer. Ok, the parallel twin motor isn’t the most thrilling, but this is a stonking bike that in many ways was ahead of the curve in spotting the trend for big supermoto style bike such as the Multistrada. 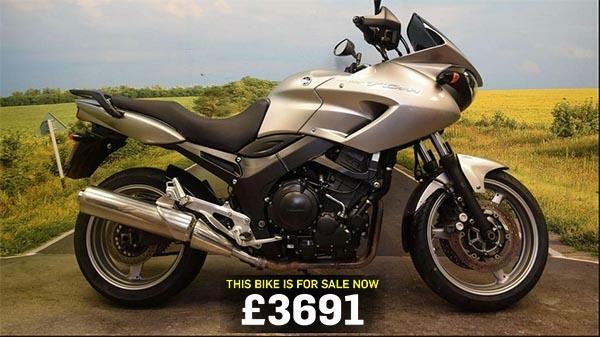 Now dropped from Yamaha’s range due to emissions laws, many sadly miss it and it is a popular used buy. You can see this Yamaha and find more TDM900s for sale here.